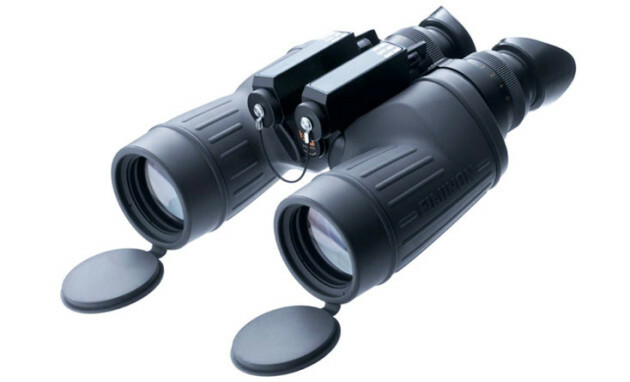 The Fujinon 8x50 FMTR D/N (Day & Night) combines top-quality binoculars with a binocular night-vision instrument. It features two sets of interchangeable oculars, specially developed for day and night-time use. You are no longer forced to carry two different sets of binoculars everywhere you go. One pair suffices-a welcome weight reduction that gives you unparalleled flexibility for a wide range of applications. The Fujinon 8x50 FMTR D/N complies in every respect with the tough specifications of the US military relating to impact resistance and waterproofness. The flat field technology facilitates unbeatable sharpness right up to the edges. The large eye relief of 25 or 31 mm permits the binoculars to be used with spectacles as well as with a mask or face shield. Note: Export of this device described herein is strictly prohibited without a valid export license issued by the U.S. Department of State Office of Defense Trade Controls, as prescribed in the International Traffic in Arms Regulation (ITAR), Title 22, Code of Federal Regulation, Parts 120-130, and/or the U.S. Department of Commerce For further information contact the Office of Defense Trade Control and/or the U.S. Department of Commerce. And approval from Oman Government Authorities. Copyright © 2015 photocentre | All Rights Reserved. Powered by ZEENAH.